Morocco returns to the African Games for the first time since the Algiers 1978 edition. 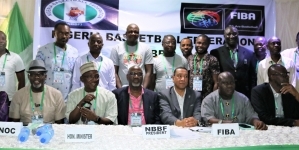 The country’s coming also have the added colouration not just as hosts, but getting the continental-sporting fiesta co-hosted by two cities for the first time. Morocco pulled out of the African Union since 1984 after the continental body recognised the independence of the Saharawi Arab Democratic Republic, which is also known as Western Sahara. The country stepped in last July after the originally designated host country, Equatorial Guinea pulled out owing to economic issues. Morocco has never hosted the Games and two host cities have never shared events before in the history of the event. According to the North Africa Post, Morocco’s Sports Minister Rachid Talbi Alamisaid he was committed to making this year’s Games “the best ever organised”. Insidethegames.biz reports that Alamimade the remarks when he met with the heads of the Presidents of African sporting governing bodies to discuss preparations for the Games. He held meetings with the officials in Moroccan capital Rabat, which will co-host the 12th edition of the African Games alongside Casablanca. He added that the event was an opportunity to “bring closer” African athletes and countries while signing a Memorandum of Understanding on his country’s hosting. The Games are set to mark Morocco’s first participation at the continental event since the 1978 African Games in Algiers. The dispute over Western Sahara, which Morocco claim is part of its territory historically, led to Morocco being outside of the African Union for three decades. They were readmitted to the body in 2017. 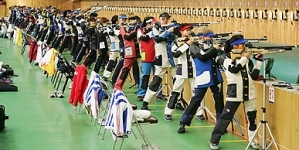 The Games are expected to act as Tokyo 2020 Olympic qualifiers for several sports. In February last year, the Association of National Olympic Committees of Africa (ANOCA) signed an agreement with the African Union to take control of the organisation and management of the African Games. 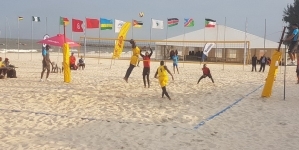 The multi-sport event has previously been organised by the Sports Council of the African Union – an umbrella group of continental Governments – rather than ANOCA. Under the terms of the agreement, the African Union would keep ownership of the Games, but ANOCA would organise, manage and run them. Algeria’s Mustapha Berraf was elected as the new ANOCA President in November. This year’s African Games will run between August 23 and September 3. INFANTINO GETS CHALLENGER FOR FIFA PRESIDENCY!